In every age, the Jewish people saw the echo of the Scroll of Esther and the Festival of Purim in their struggle to survive. Out of the darkness,” Layehudim Hayetah Orah v Simchah”, for the Jews, there shown light and joy. 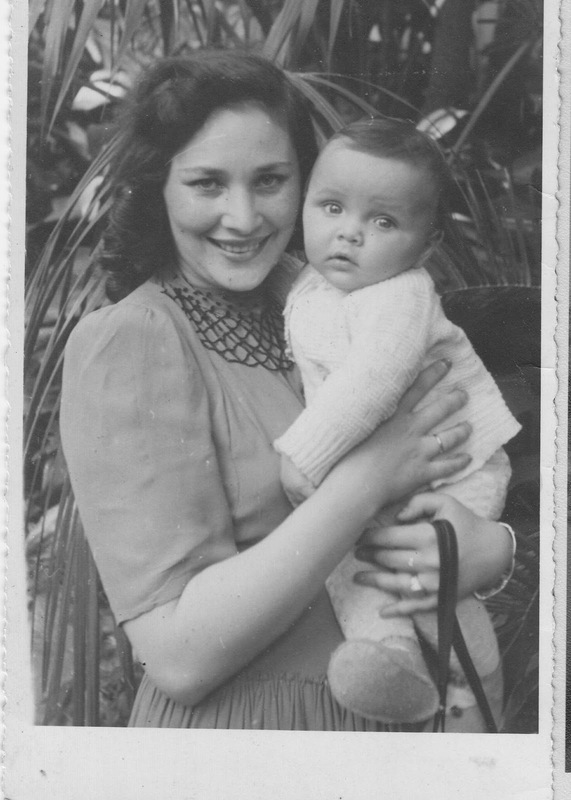 For my mother, out of the darkness, there came the light and joy of not only surviving, but of creating new life. You see, my mother, Irene Weinberg, Irka, as she was nicknamed, was, in Hebrew, Esther. Esther was the public name of record for Hadassah. Esther was the name Hadassah used to save herself and her people. In the ancient languages of the Middle East, Esther was a pagan goddess, the morning star, Ishtar, Venus—but in Hebrew, Esther was derived from “nistar”,“ Hidden”. By hiding her identity as a Jew, and pretending to be a pagan on the outside, Hadassah, Esther becomes the Queen and saves not only herself but her people. In later Jewish lore, she is publicly the Queen, but in truth, she is married to her uncle, Mordecai, the political figure and advisor. My mother, Irene-Esther, saved herself and others by hiding in plain sight. Irene was the older child of Norbert Gottdenker and Helena Iger, born on January 25, 1922. A year later, her younger brother, Karol was born. Even the city she was born in had many identities. Just 4 years earlier, it had been Lemberg, in the Galicia province of the Austro-Hungarian Empire. At the time of her birth it was Lwow, Poland, and now, Lviv, Ukraine. It was a city of 110,000 Jews out of a population of some 300,000, the rest being Polish or Ukrainian. Helene (Hinda) was daughter of Nissin ( Nathan) Iger and Chaja Sas; his great-grandfather was the leading Rabbinic scholar of his day, Rabbi Akiba Eger ( Iger) . 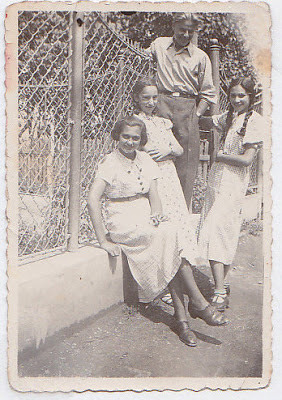 Norbert ( Nachman), son of Koppel Gottdenker and Sossia Zarwanitzer, could trace his family line through his grandmother to the Kahana’s of Sighet and a long line of Rabbis through the middle ages. His was also cousin to William Weinberg, of Dolina ( then Austro-Hungarian Galicia, then Poland), later to be the Mordecai to Esther, and marry my mother. Norbert Gottdenker had been a soldier in the Austrian army in the Great War, as it was called, and had been captured by the Russians. 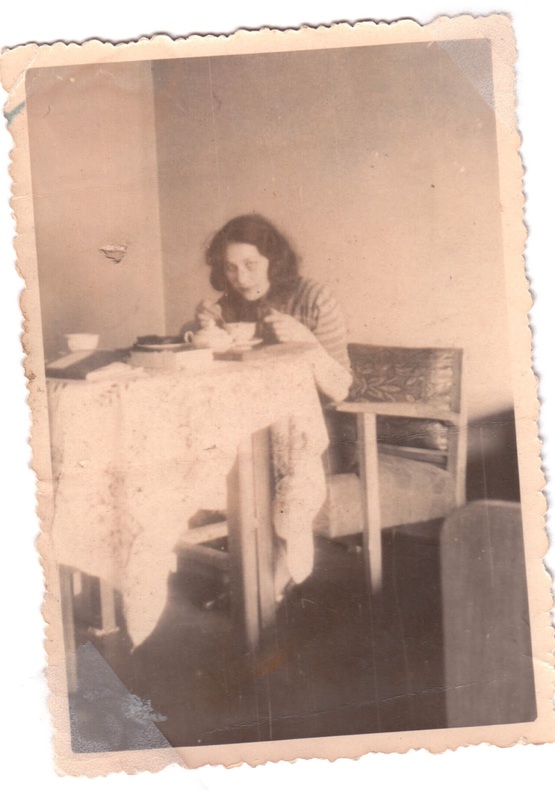 Helena was from the border town of Podwolochisk, and was among those who volunteered to be allowed to look after fellow Jews who were ill or injured; that is how they met. Norbert brought her to Lwow, where he worked as a supervisor for a lumber company’s rail transport system, owned by his maternal grandfather, Moses Zarwantizer and his son, Judah. 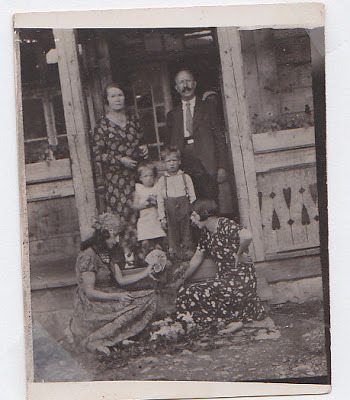 At some point, he brought the family to Bolechow, a city adjacent to Dolina. “The Family Gottdenker lived in our neighbourhood. First in an apartment of Marcin Bilinski in Dolinska street and then up three doors up in a nice garden cottage. 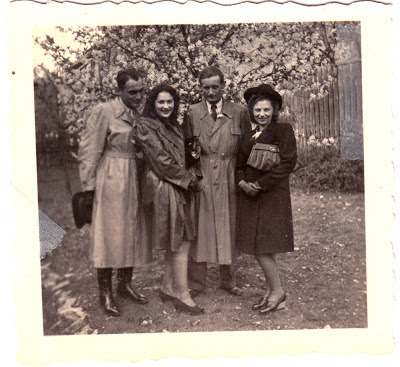 My grandfather 's business travels often brought him to Vienna, Austria, where he often visited his relatives, the Weinbergs, who had settled there during the war. On at least one trip, he brought the family along, and the ten year old Irene, met her older cousins, Benjamin and William, then in their early 30’s. 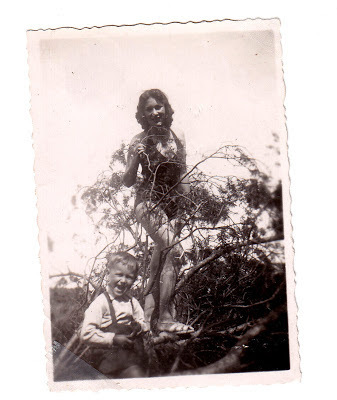 Irene was skinny and a picky eater, which frustrated her mother. Next door there lived a large Polish family, so she had Irene sit with the neighbors’ children; the neighbor fed each child a spoonful of porridge, and Irene opened her mouth to be like the others and ate. 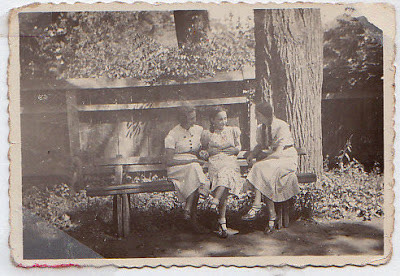 She spoke a clean Polish, without any trace of accent, and knew Ukrainian from her neighbors, and German from her school. 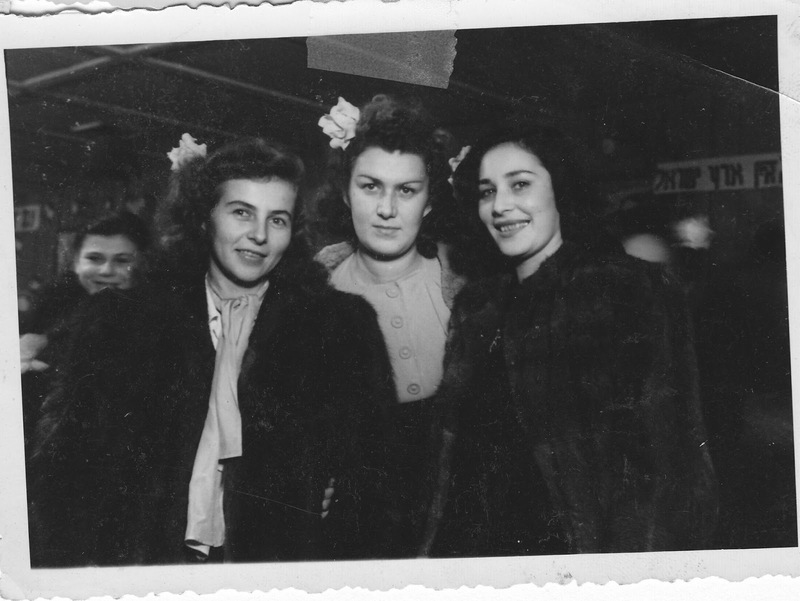 She knew some Hebrew from attending Bais Yaakov School for girls, which was an Orthodox school, but progressive in its day in its openness to the secular education of girls. She was familiar with Yiddish, but not fluent in it. Her first tragedy struck with the death of her father, Norbert, in or 36 from complications as a result of stomach surgery, apparently to treat cancer; he was just in his 40’s when she was just only 12. He was the first of the key people in her life that she lost . 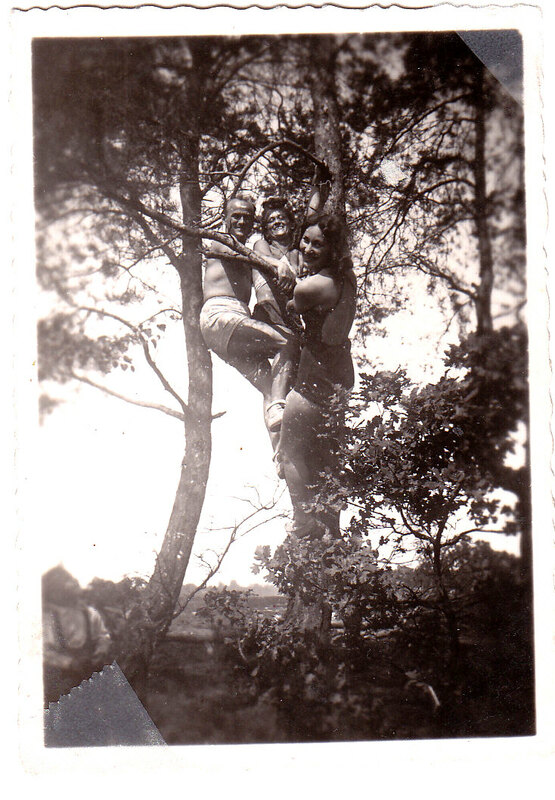 Her mother relied on her husband’s pension and raised Irene and her brother, Karol, with help from her sister, Dora Iger Kitzay, whom I recall as Tanta Dora. 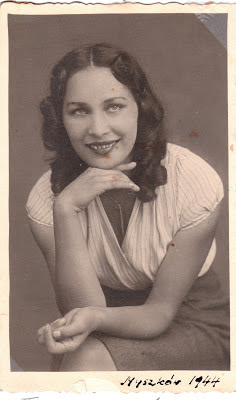 Tanta Dora would described herself as a “ Jewish gypsy”( she appears in one photograph playing with her deck of fortune-telling cards), and had worked as an administrator in a company in her home of Podwolochisk. She claimed to remember seeing Trotsky in his early years when he was rousing the workers against the Tsar. She had a knack for reading cards and for shrewdness. 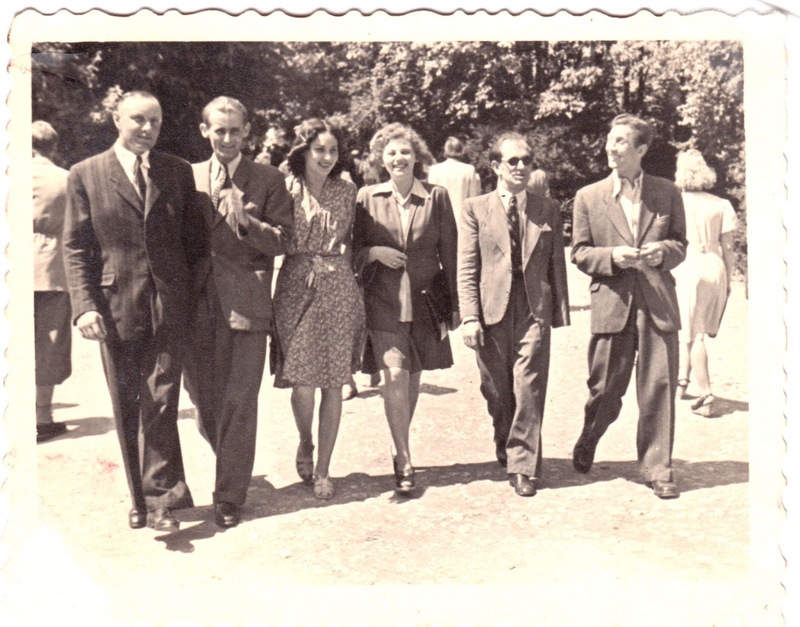 In 1938, when Irene was 16, the family moved back to Lwow, where she started music and arts studies at the Lwow Conservatory. She had a beautiful voice, mezzo-soprano, and an eye for art, which she dreamed would become her calling in life. Life, however, did not allow her formal schooling. It did train her, however, in mastering what came down upon her. In this parable of the Purim story, Hitler, is obviously the stand in for Haman; Ahashverosh in this account is represented by all the government officials of Germany and the conquered lands who let Hitler call the shots under the veneer of law. n September of 1939, the Germans invaded Poland and thereupon began the official start of WWII. Bombs fell on Lwow. Irene refused to go to the bomb shelter; a bomb hit the house, but did not explode, while another bomb hit and exploded on the shelter). “ Father is protecting me,” she felt. As agreed upon with the Soviets, the Germans took over the western half of Poland and the Soviets took over the eastern half, supposedly as the protectors of the Poles. Lwow fell under the Soviets. Irene had to interrupt her studies and found work as a bookkeeper in “Trust”, the largest department store In Lwow. She now added Russian to her trove of languages. 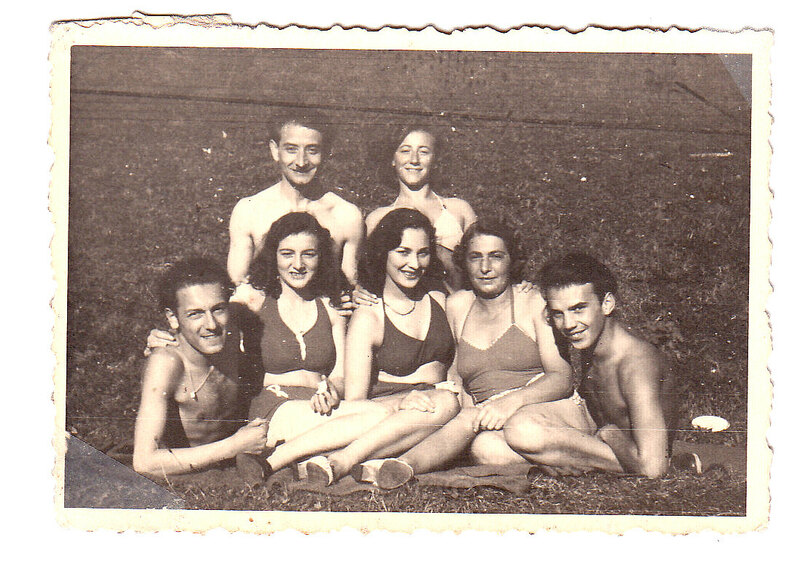 Shortly thereafter, her second cousins came to stay, having fled from Austria on their way to the Soviet Union. It is here that William played the Mordecai to Esther, because from him and his brother, Benjamin, she learned first hand what had happened to Jews in Germany, then Austria and Czechoslovakia, since Hitler took power. She understood that she would need to be prepared to use her wits to survive and, as in the original Megillah, never to reveal who she was. ( My father, William Weinberg, had been a Zionist leader in Vienna, and in 1932, went to Berlin to enter Rabbinic school, under the last great Rabbi of Germany, Leo Baeck. Hitler came to Berlin 1932 at the same time, to be the Chancellor of the Reich. 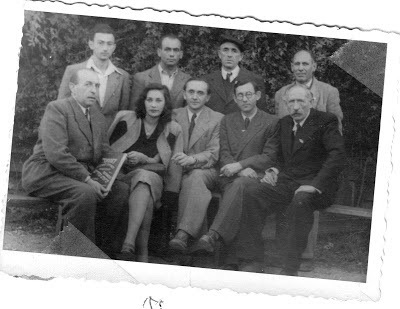 In 1935, my father was arrested, and he spent two years in a Nazi prison for helping his fellow Jews to escape with some of their property. He finished his Rabbinical studies by correspondence with his teachers, was released and ordained in 1937. He escaped to Austria, and with his brother, Benjamin, a lawyer, managed to get their parents out to Switzerland; when the Nazis took over Austria, they escaped to Czechoslovakia. In 1938 Chamberlain gave Czechoslovakia to the Germans, and my father and uncle were caught and arrested as politically dangerous suspects and placed in a concentration camp. When the Germans divided Poland with the Soviets, they dumped these political suspects on the Russians. My father and uncle were able to get away from their Soviet guards and made their way to Lwow where they stayed for six months, learning practical chemistry as a means of surviving the coming years of trouble. When the fighting broke out again, they made their way to Stalingrad and then to Frunze( Bishkek),Kirghizia ). In 1941, the Germans invaded the eastern part of Poland and occupied Lwow. The victorious Germans marched in with bands and leaflets about liberating Poland form the Soviets and Stalin. Everyone went out to greet them, since the Russians had made themselves unloved by their harsh rule over the Poles and the Ukrainians. Jews too went out to the streets to greet them, because, they thought, naively, that anything could be better than the Soviet occupation. Nobody wanted to believe the reports about what the Germans were doing to Jews; these were “fairy tales”. The “fairy tales” turned out to be nightmares. 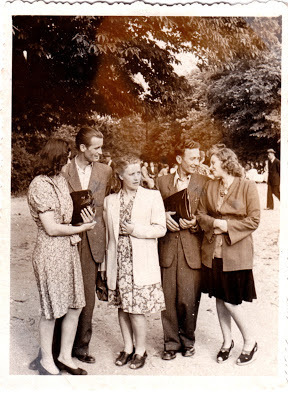 Germans used the locals, especially the Ukrainians, who saw them , erroneously , as their allies, and called upon these former neighbors, friends and classmates to find the Jews they knew, pull them out of the crowds and deliver them to the Nazis or wreck havoc on them. Helena was caught in the dragnet and into a school building; the Nazis and their quislings set attack dogs on them who mauled the people inside. She was saved by a Ukrainian friend who risked his life to enter the building and pull her out ( there were among the Poles and Ukrainians Righteous Gentiles who saved Jewish lives). Some 4000 Jews were killed in pogroms at this time and 2000 more shortly thereafter. The German regime forcibly segregated all Jews. Irene immediately lost her job and her family was forcibly removed from their home at Grundwalska 12 without being able to take any of their possessions. Irene was able to hide out in the dark and dank cellar of the house while a friend secretly brought her food to sustain herself with. By the summer of 1942, she had to vacate the cellar, as the Germans were beginning to hunt down Jews by use of tracking dogs. Survival now depended upon having a piece of paper that proved that the bearer was a Pole or a Ukrainian, not of Jewish ancestry. Among the false names she used was “Pilsudskowa”, similar to the name of Poland’s first President, Pilsudski. 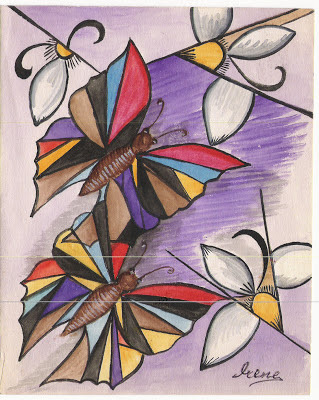 Later, she would use her jobs in various government agencies to get access to government stamps and forms, and with her art school training, was able to make the false papers look authentic. What she was able to do herself, she also did to help others survive. Her aunt ,Dora, got false papers and found refuge with Irene in an apartment building. One day, Nazis came in a massive roundup of Jews to that building. 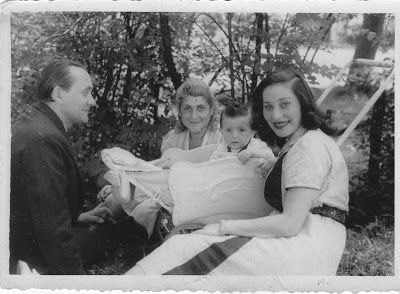 They found a hiding space in one apartment, and the tenant’s son came to the door when the Nazis knocked. They asked if there were any Jews inside. He said,” No Jews here” and the Nazis went away. They came back with police dogs, but instead of looking in the apartment, they searched the basement and then the Nazis left for good. 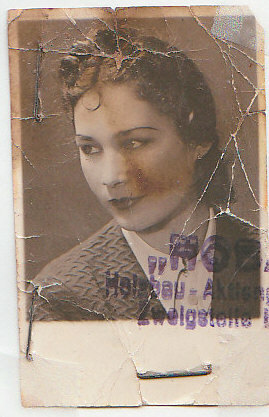 Irene got false papers from someone who also got her a job; the connection was a German officer, from Czechoslovakia, who was in secretly a Jew who had passed himself off as Aryan to save his wife and brother –in-law, after his own parents had been killed, and used his position to help other Jews. She started as nanny to a German family and then worked in a personnel department in a lumber office. She learned to constantly be on the move, and went to a one section of Lwow . Her aunt moved off to another section, and was hidden by a man named Kitzay (she adopted his last name). They knew that families that separated had a chance to survive and since Lwow was a big city it was possible to remain anonymous. 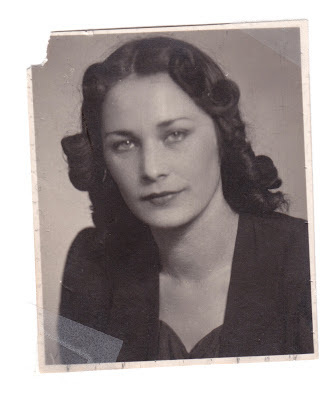 “ My eyes saved me.” She had blue eyes, while Polish Jews had dark eyes, she spoke Polish without any trace of Jewish dialect and German as well, so she could claim to be a Pole of German national origin. 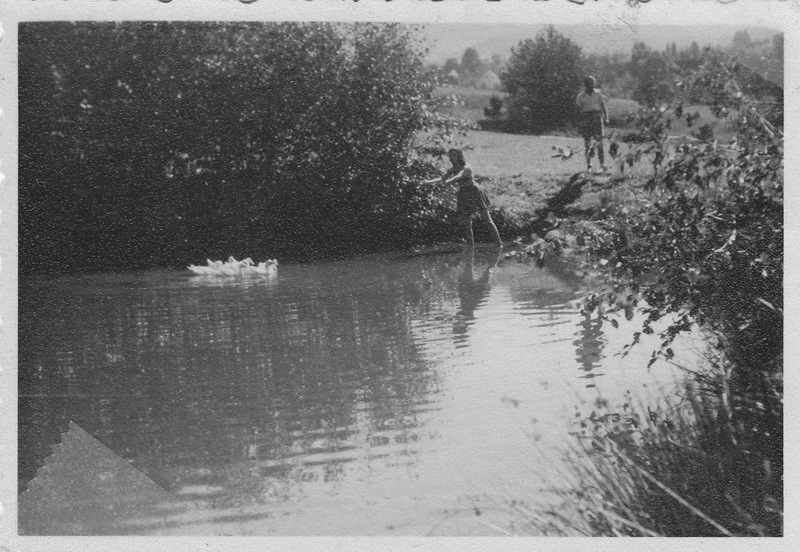 From her childhood friends, she had learned enough of their religion to act like a Catholic. The German invasion of Russia began to get bogged down at the battles of Leningrad and Stalingrad. Life in the German occupied territories became more difficult as a result and Irene’s position was at work ended. 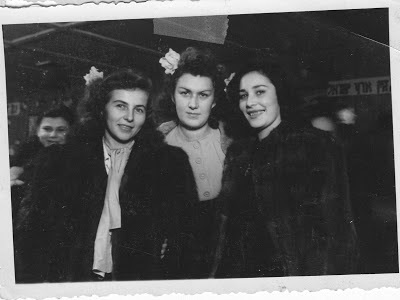 At the same time, she was identified and stopped on the street by a Jewish woman who blackmailed her.” I know you, your mother, I know where you live.” Irene continued walking alongside the woman, and spoke softly and calmly to avoid drawing attention. 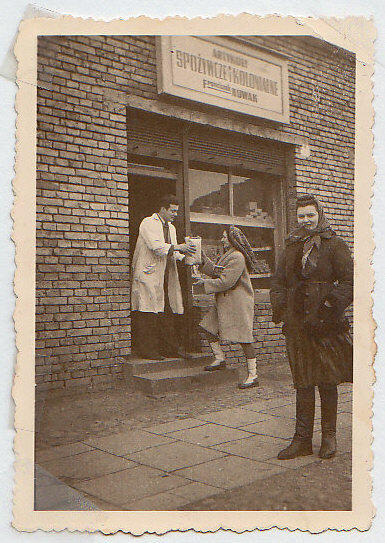 She agreed to pay and had her walk in the direction of a building where some Ukrainian trusted friends lived. “ Stay outside, and I will bring you your money,” she told the blackmailer. She made sure that the blackmailer could not see who she went to for the money. She came back out, gave money to the other woman, but Irene knew that she would continue to follow her, so again, she continued to walk alongside the woman till she came to a building she was familiar with. Again, she asked her to wait outside, while she picked up some personal items. This time, she slipped through a back passage to the adjacent street, escaping the blackmailer. 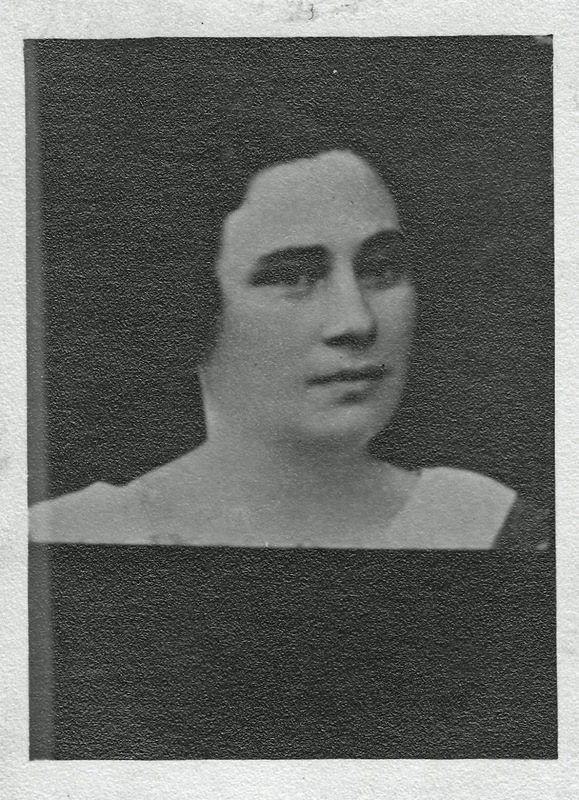 She obtained new papers, kept her name Irene, changed the last name, and listed as her birthplace a village that she knew had been destroyed completely in the fighting. One of her papers had her listed as a male, which she couldn’t change, so she folded and refolded the paper, until the crease of the fold was just over the word “male”. A little bit of dirt and spit, and the paper looked frayed, and naturally, torn just as that word. On the same day that she was blackmailed, Lwow was bombed. She took the first train out of Lwow. The conductor of the train was the father of the same boy that sent away the Nazis when they carried out their first round-up of Jews. She saw that he recognized, and she knew she could not take a chance. She got off at Krakow to the west , and began to search for information on a man (a half-Jew) in Warsaw who had promised to help her. 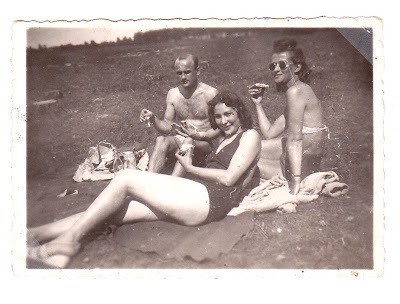 She found the man’s contact in Krakow, gave him an excuse about her story of why she was going to Warsaw. Even though his contact was also half Jewish, for security no one revealed key facts to anyone else. 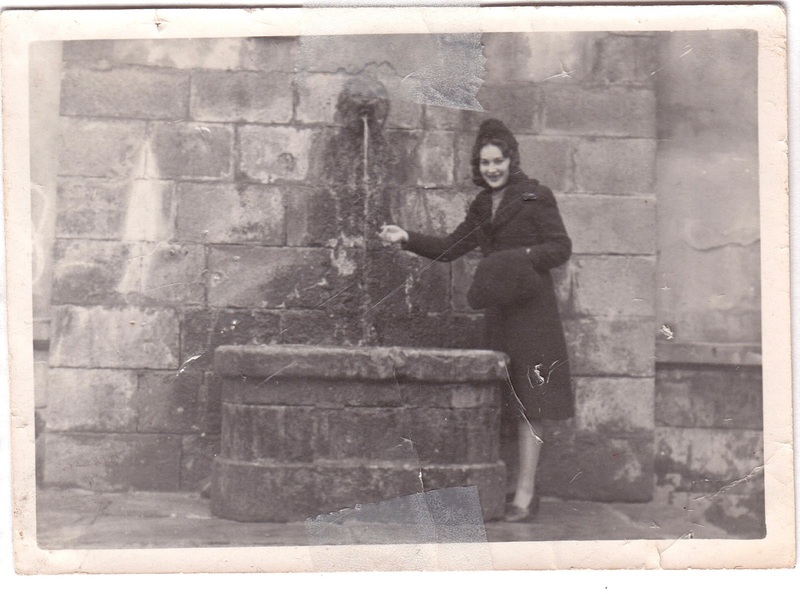 She went on to Warsaw and was able to notify Dora of her new location; her aunt met up with her there. 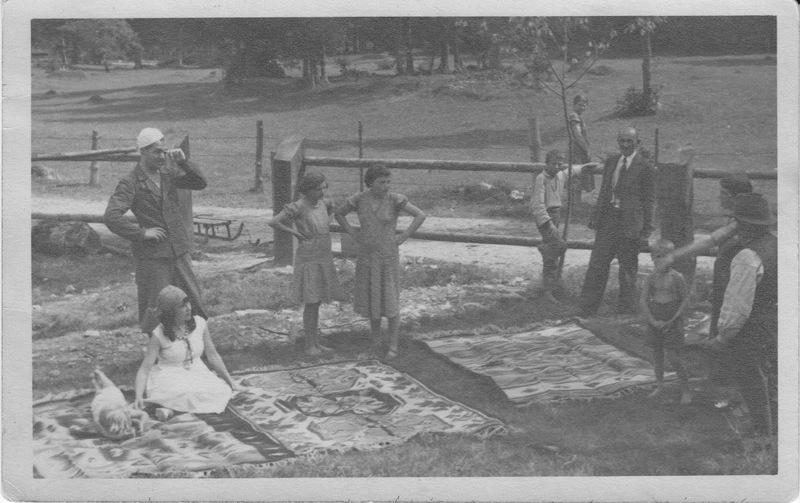 She managed to get jobs in government agencies, such as the Ministry of Agriculture as secretary to the Secretary of Personnel, and had access to official stamps and seals; with her training in art she could to forge documents. 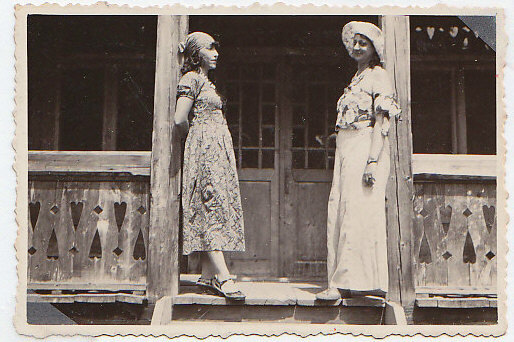 She saw to it that her boss, a drunk, had plenty to drink, and ( to continue with to Purim metaphor, he was the Ahashverosh of our story, a drunk who signed off on his royal documents). 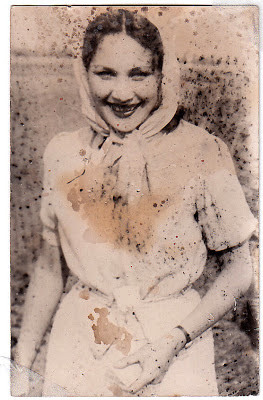 Again, she escaped detection several times ; at one times, she survived in an underground cellar in Sw. Janska 13, an old section of Poland, helped again by a Polish friend. One time she obtained residence in an apartment building used by German army officers in exchange for taking care of the apartment. 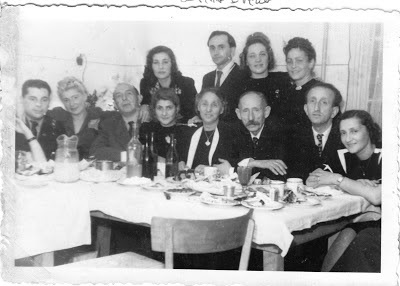 Occupants were supposedly regular army officers but my mother knew that they secretly belonged to the Secret Police; they did not know she was Jewish, nor did they realize that she knew who they were. She was able to get Dora in, got her a fake ID ( with Irene’s picture on it) and fake employment papers In addition. 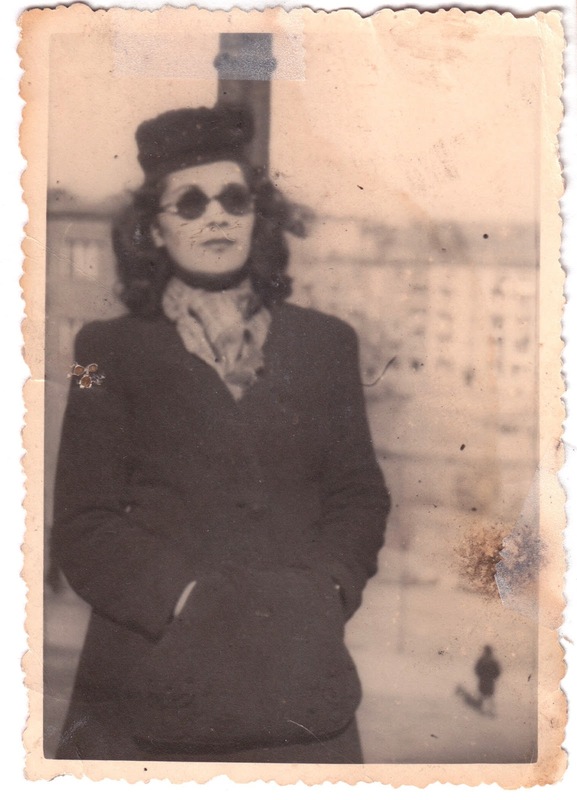 She hid her aunt, Dora, in a closet in her own room, inside the apartment of the Nazi officers and she could only go out of the closet when the apartment was empty. However, they were, at all times, true “officers and gentlemen” and never touched Irene or went into her room. Even times of persecution had lighter moments. 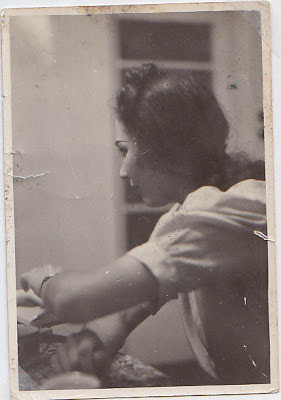 Once, my mother came back to the apartment, and couldn’t find her aunt. She was in a panic, and searched high and low, and then went to the closet. As she was going through the clothes, and hand touched her form behind. My mother’s heart dropped—it was Dora, playing a prank on her. At another time, the officers brought back a turkey and asked her to cook it for them. They were going to take it with them for the holidays. 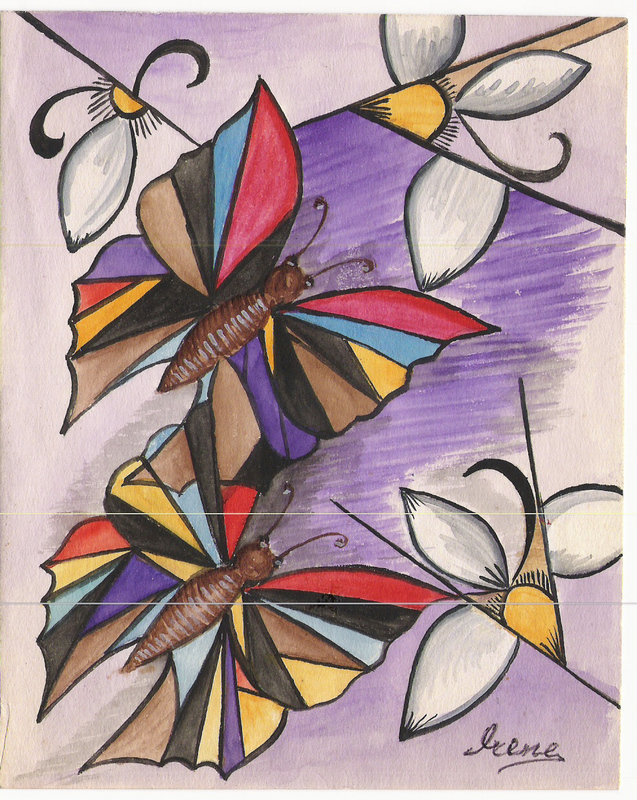 My mother was in a panic-she could paint and sing, but not cook. She agreed, on the condition that they stay out of the kitchen, and allow her to work patiently. Men of honor, they left her to her own in the kitchen. Dora sneaked in, started to cook, and when ever the officer’s queried,” Is it ready”, my mother would pop out, with work apron and smeared gloves, and ask them to wait patiently. The turkey was cooked, given to the officers, to left to go for their holiday. 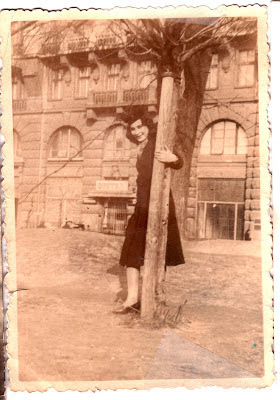 During the Warsaw Ghetto Uprising in 1943, she frequently took the local streetcar that went past the ghetto to see what was happening. She had to pretend that she was visiting her parents’ grave at the opposite end of the city to explain what she was doing so often on that route. 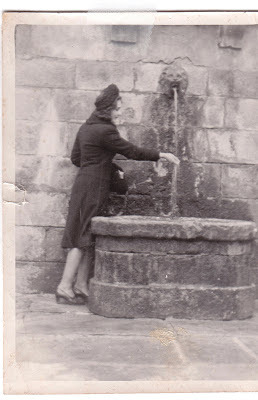 She knew many of the people fighting inside, heroes that attacked German tanks with Molotov cocktails by throwing themselves under the tank. During the last days of war, in August of 1944, Russian and Latvian troops approached Warsaw; they especially used Latvian and Kalmuks forces, who were feared as savages and less likely to befriend Poles than their Russian counterparts). Warsaw was in a panic, there was widespread burning and looting, bodies all over.The Germans took 50 people from the Irene’s office at rifle point , and put them on trucks, to use as hostages to cover their escape. 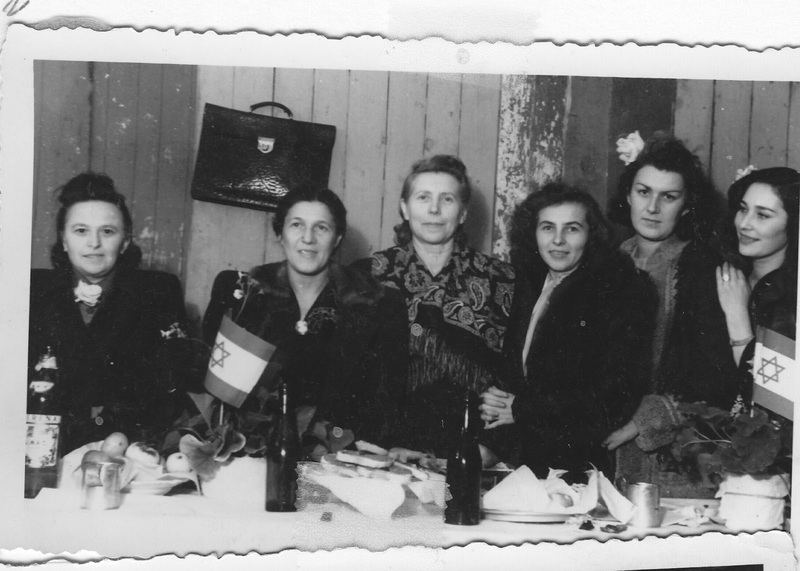 They stopped some15 kilometers from Warsaw, to labor camp, but all was in disarray. The Germans fled, and then the hostages jumped out of the truck windows, and were hidden by the local Poles/ They all split up. 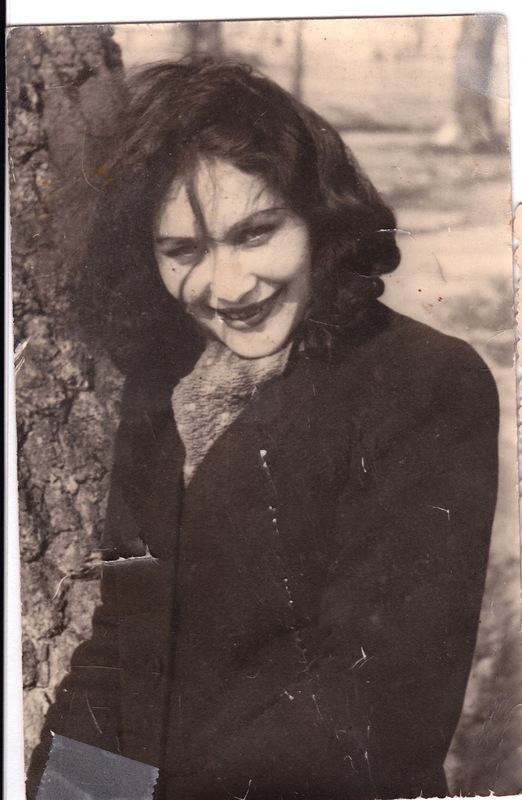 Irene made tried to make her way to Krakow, which was not yet engulfed by the fighting, took a train out, but ended up in Silesia. .As she fled towards Germany to get away form the fighting on the Russian front, she was caught, this time as a Volks Deutsch Pole. Since she spoke German. Ukrainian and Russian, they put to work in a vinegar factory, ,part time in office, part time in the factory washing bottles. 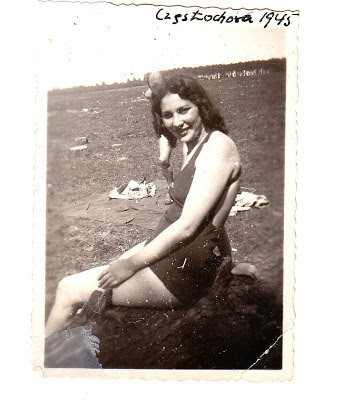 She was also put to work in a labor camp three times a week near the Oder–Niesse line to dig anti-tank trenches.to stop the Russians, first in Myszkowa, then Gleiwitz, Ober- Silesia. The tank traps failed, as he Russians circled from behind, The Germanys Wehrwolf( seniors drafted into the army) fled and fell into their own trenches. Final justice delivered, for this was the very city in which Germany staged the murder of border guards that opened World War II. During the last three days of fighting in Silesia, there was anarchy; as the Russians came, people ran amuck and wild. 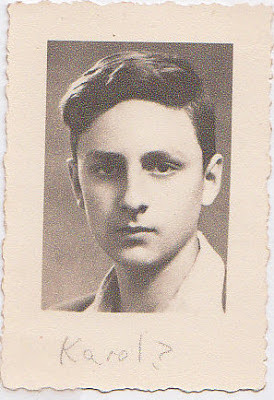 A German friend offered to help Irene, but when the Russians approached, he was afraid,” The Russians will tear us apart”. Irene took the opposite tack. She and her friends dressed up in the best clothes. The Russians soldiers came upon them, were stunned to see them, just a preliminary survey, and left. She then also left. 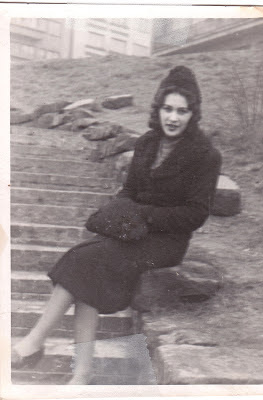 In Feb. 1945,her war ended. She stayed in a small town, where there were no rations, so she survived two months on water and bread and could only sleep all day to fight the hunger. ” You can’t forget it. The mental torture is worse than the physical.” Friends discovered her and brought food. She stayed there, and then went on to Czestochowa, and worked in a drug company. After war’s end, she stayed in Poland for about a year. When the massacre of Jews at Kielce took place, she decided to head to Palestine (now Israel) and joined the Bricha ( the movement to bring Jews into Palestine from the refugee camps at that time). The agents responsible for ferrying Jews out had trouble believing that the beautiful Pole was truly a Jew; she had to prove what she remembered from her Bais Yaakov days, her Shema and other prayers. 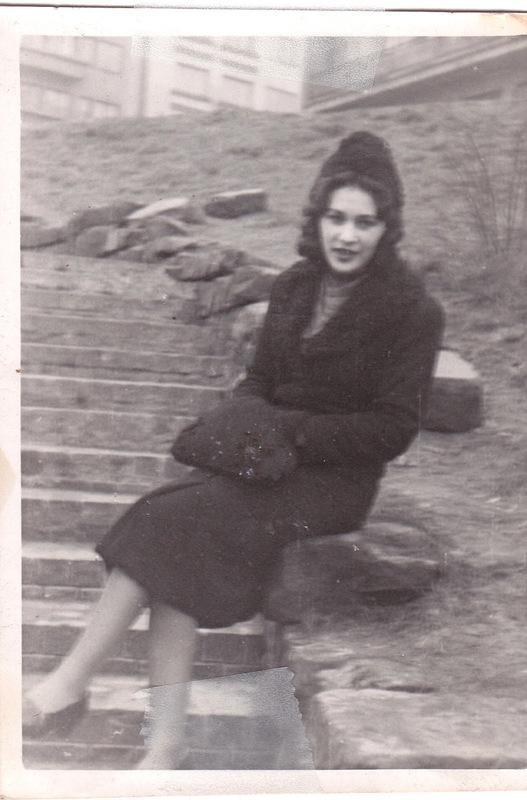 She made it over the mountains and across borders, pretending to be “ Greek”. When border guards stopped them, they would speak to each other in Hebrew, claiming they were talking Greek ; the guards believed them, and let them through. 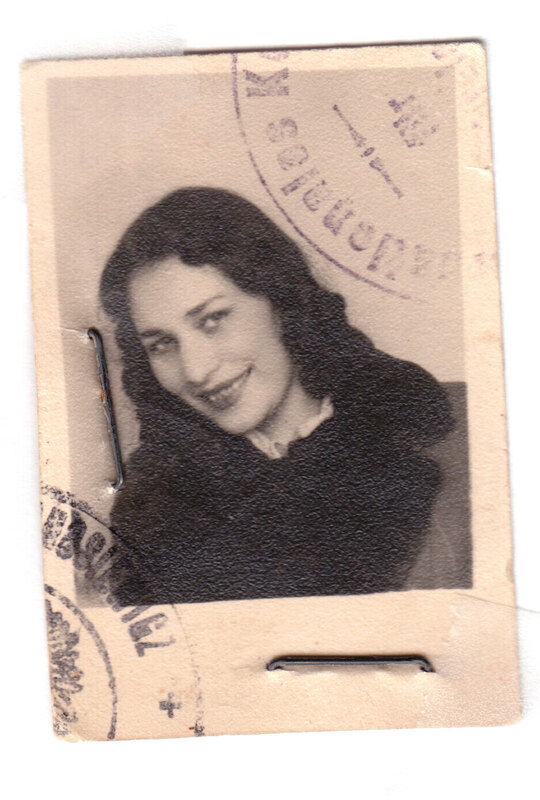 Once in Vienna, she was brought to the Rothschild Hospital, to await travel arrangements to Israel. 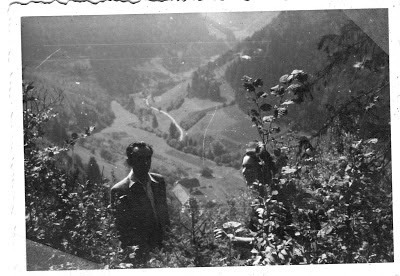 My uncle, who , with my father, had fled from Germany to the Soviet Union and back, used to go daily hoping to find lost family or friends. 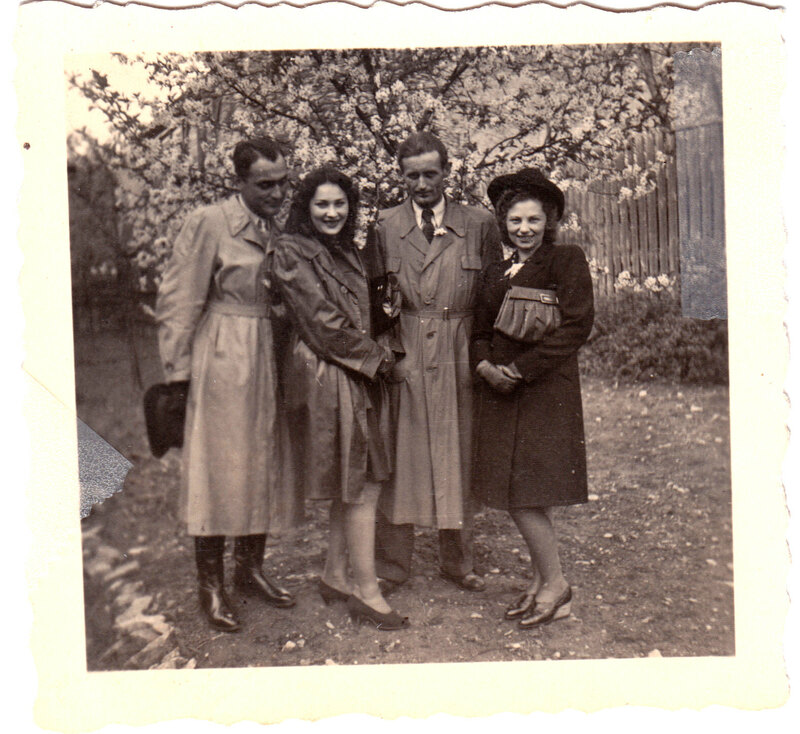 There, he saw Irene, whom he knew form her visits to Vienna as a child and from their stay in Lwow when they were fleeing to the Soviet Union. 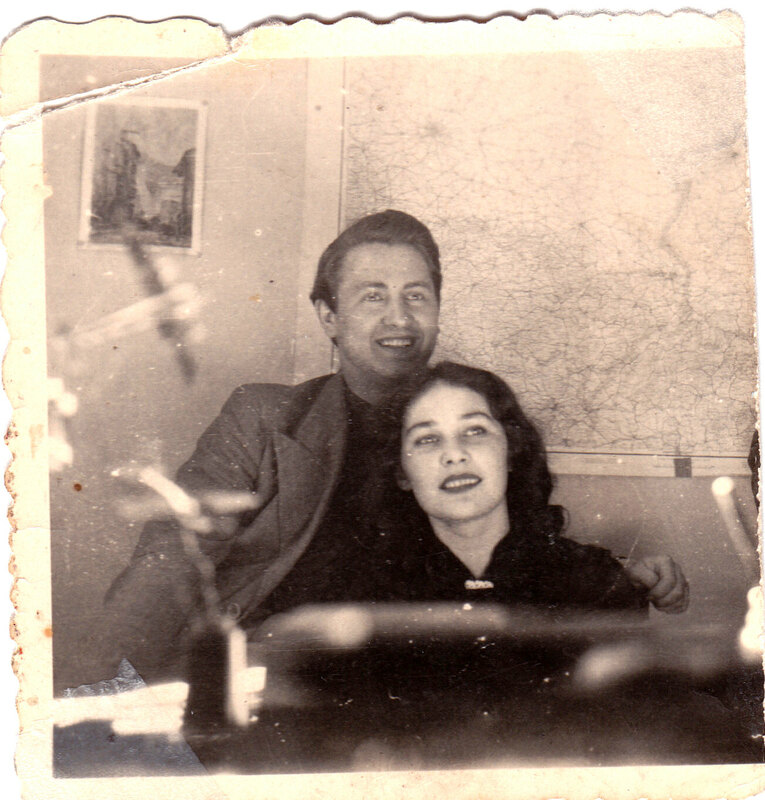 He brought her home and she fell for my father, who, although 20 years older, was still good looking and had some status in his work with refugees.He worked at the refugee camps in Hallein , Austria, in the shadows of Mozart’s Salzburg, in charge of adult education and established a University for the training of DPs ( Displaced Persons) for their new life. They married there. Finally the Purim story drew to its conclusion, as Haman was destroyed, the Jews survived, and Mordecai and Esther were united. 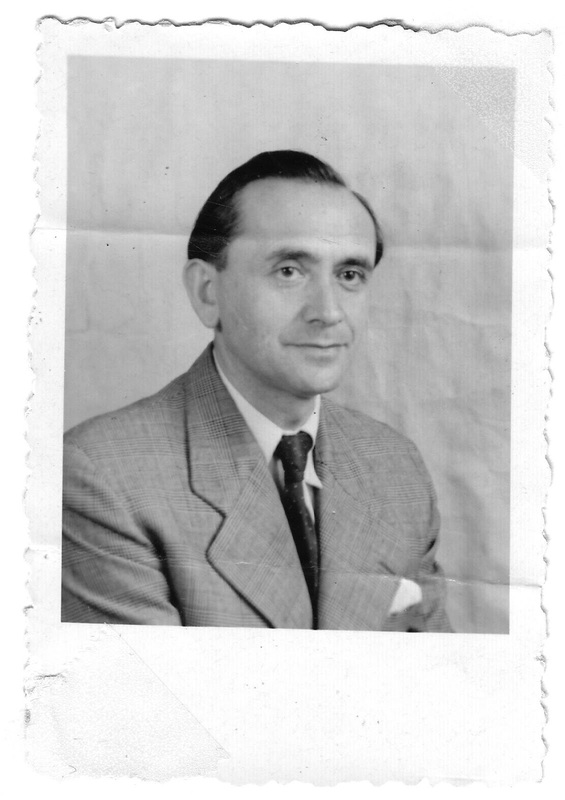 In 1948, he was chosen as Landesrabbiner ( State Rabbi) of Hesse ( Frankfurt and the surrounding regions) and they moved to Frankfurt, where she bore their only child, the author of this account, Norbert Weinberg. 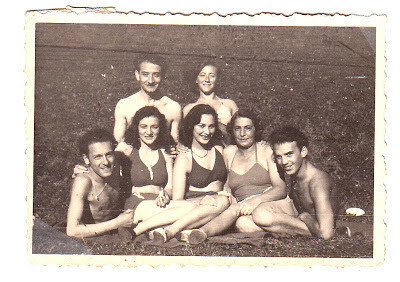 In 1951, they came to New York. My dear father ,Rabbi William Weinberg, passed away in 1975 ( on Shushan Purim) after years of service to the Jewish community in Europe and America. His documents are archived at the United States Holocaust Memorial Museum. 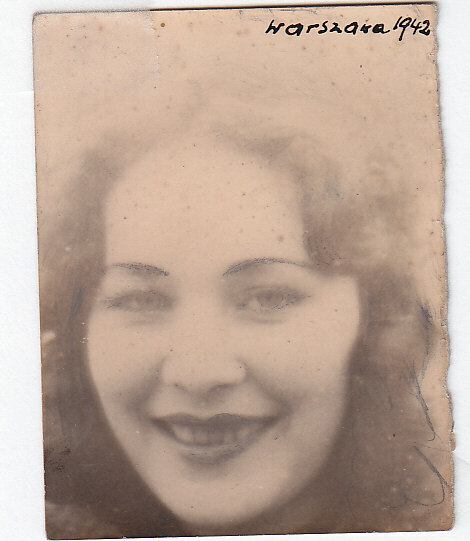 My dear mother, Irene Weinberg, Esther bat Nachman, passed away on July 15, 2007 in West Hollywood, California, survived by one son, Norbert, married to Ofra nee Zadok, and three grandchildren and three great grandchildren who carry on the tradition. What a beautiful story of survival and love! Thanks for sharing. 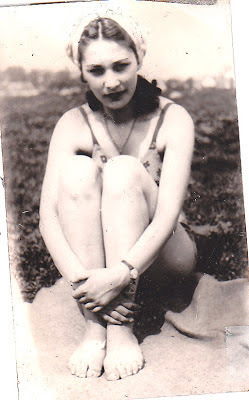 Your mother was a remarkable and beautiful woman. My mother's brother told me that when we were traveling over the borders to the DP camp in Poking Germany, the group had false papers also saying they were Greeks and they also spoke hebrew to the border guards who thought it was greek. I was only 3 months old at the beginning of the trip and people took turns carrying me. The false papers were supplied to them by my Great Uncle, Rabbi David kahane of Lvov. What a precious story. Thank you for sharing it. I loved the photos too! An extremely beautiful woman. Those eyes! 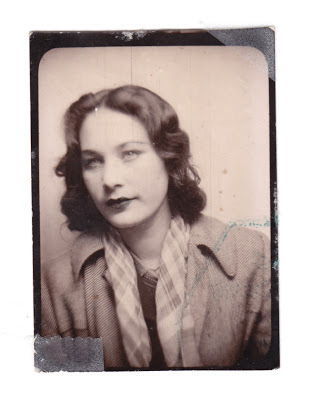 Stirring account read on a gray rainy day here in the Colorado Rockies not unlike the sky scapes of distant Silesia--pictures capture so much of your beautiful mother... thank you... .